What does the "M" stand for when referring to 1M, 4M, etc. baking chips? What is the difference between these types of baking chips? The "M" in the titles refers to the baking chips’ count per pound. So for example, 1M relates to 1000 chips per pound whereas 4M baking chips have a slightly smaller size and you can get 4 times the amount for a total of 4000 chips per pound. 1M is typically regarded as a standard size. Number values below 1 will have a larger size diameter and less chips per pound, whereas numbers greater than 1 will be smaller in diameter but you'll get more chips per pound. The graphic below allows you to see the difference between the many sizes we carry on our site. Add texture and flavor to baked goods with these Ghirardelli 5 lb. milk chocolate .8M baking chips! With a size of .8M, meaning there are 800 chips per lb., they are perfect for sprinkling throughout a variety of decadent desserts. Featuring a creamy and sweet milk chocolate flavor, they'll make a great addition to classic chocolate chip cookies, cakes, and brownies. 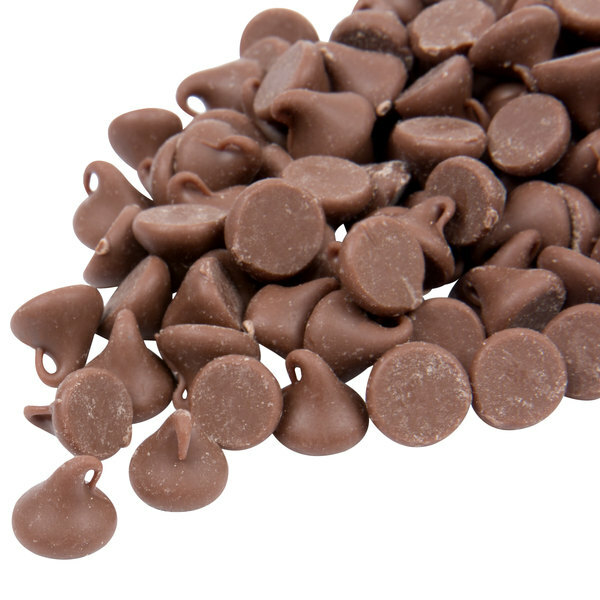 Indulge your guests with pancakes, scones, and confections made with these irresistible milk chocolate chips. Use them for decorating, garnishing, or topping an ice cream sundae, iced drink, or specialty frozen drink. Customers will recognize and trust the Ghirardelli name when they see it in your cafe, coffee shop, ice cream parlor, or restaurant. Ghirardelli began with a young Italian chocolatier in the early 1800s and is now a brand widely known for its rich flavors. This sense of quality is the result of Ghirardelli's commitment to control all steps of the chocolate-making process, from roasting the cocoa beans, to refining the product for smoothness and well-balanced flavor. In addition, the company understands that sustainable sourcing and knowing the origins of the cocoa beans speaks to the quality of the finished product. 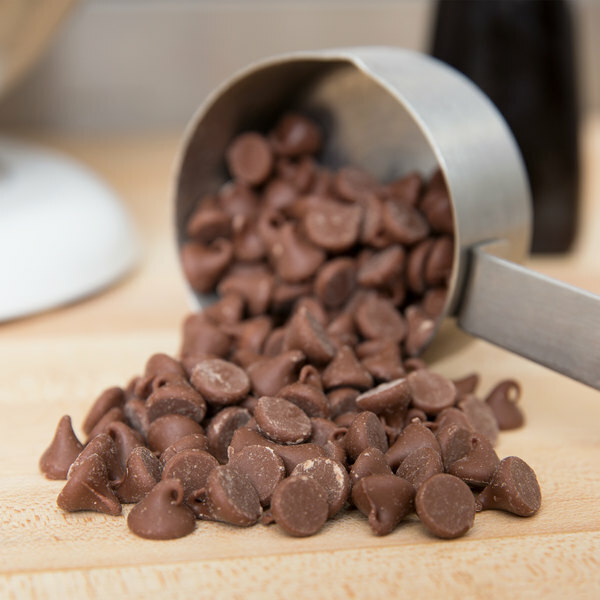 No matter what dish or drink you prepare, guests are in for a treat with these milk chocolate .8M baking chips! I use these to make my own hot chocolate balls, cookies, brownies, ganace etc. They work beautifully!!! The price is unbeatable, I will definitely be buying more. I really enjoy these great baking chips. Milk chocolate has just a right amount of sweetness and taste really velvety. Everyone will just love it! Ghiradelli makes me favorite chocolate chips to bake with. They add great cocoa flavor and unlike other brands they melt so easily and stay creamy. Ghirardelli chocolate quality is a bit hard to beat, and these chips are top notch. Great for a variety of dessert recipes and taste so good.